These "Ireland's first openly gay Taoiseach" headlines miss the point a bit, don't they? In case you’ve missed every single headline written on the matter by every single international publication this weekend: Ireland has its first openly-gay, half-Indian Taoiseach. A massive international media presence welcomed Mr Varadkar to his new role as he gave his Fine Gael leadership acceptance speech, having seen off rival Simon Coveney 59%-41% after a short election process. They don’t usually give us that much coverage, so it’s nice in a way. But in another way, it’s all pretty weird. Johnny CNN and Billy BBC congratulating us on our "achievement" and telling us all about how marvellous it is that backwards aul' Ireland finally stopped saying the rosary long enough to select a gay man as leader. One particularly jarring pronouncement read “in years gone by, Leo Varadkar would have been an unlikely candidate to head the government of the socially conservative, Catholic, Republic of Ireland.” Bit condescending, isn't it? After all, in 2015 Ireland became the first country on earth to introduce marriage equality through the popular vote – and did so in something of a landslide. If you want a sense of “socially conservative Ireland,” simply look at the working class boroughs of Dublin, where one will find overwhelming support for causes such as that one. Look anywhere, really. It passed in every single constituency in the country bar one. Ireland also established civil partnerships for all its queer citizens in 2010, something Mr Varadkar criticised at the time. Six years before Ireland voted to legalise gay marriage by popular vote, Mr Varadkar openly expressed his distaste for the 2009 Civil Partnerships Bill. The bill ended up passing through both houses of the Oireachtas and becoming law, and five years later Ireland made marriage possible for all its citizens in huge numbers. So who’s the real "social conservative" here? Your average citizen, or Leo Varadkar? 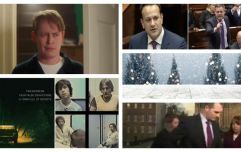 Consequently, Ireland’s LGBTQ social media community has not been short of memes and tweets slating the new Taoiseach, and international celebrations of Ireland’s first gay Taoiseach have been met by such profligate use of the eye-roll emoji that I suspect Mr Varadkar might slap a tax on it in the next budget. If international politicos would like a sense of our “Catholic” sensibilities, they should check out the verdict rendered by the Citizen’s Assembly on the Eighth Amendment just a few weeks ago (turns out they were rather massively in favour of allowing access to terminations). In contrast, Mr Varadkar has said he wants Fine Gael to be “a warm house” for those with conservative views on abortion. Would those be the same conservative views that are currently in breach of UN human rights directives? A recent poll in the Irish Times revealed that just 18% of respondents want the Eighth Amendment retained in its current form. Remind me again, who is clinging to outdated Catholic dogma? Ireland, or Leo Varadkar? Varadkar’s true colours were exposed ahead of the 2016 general election, when in an Irish Independent profile he chuckled off questions about access to reproductive rights in Ireland. Asked if abortion was a class issue (given that the only way an Irish woman can legally get one is to pay and leave the country), the then-Minister for Health laughed and said “I don’t know what that question means.” If that’s the sound of social progress, I must be utterly tone-deaf. In another, older, profile, Mr Varadkar was asked about his favourite Christmas movies. Speaking about A Christmas Carol, he suggested that “Tiny Tim should get a job.” I've only seen The Muppets version, but I'm pretty sure Tiny Tim was like a kid dying of tuberculosis or some other kind of ye olde time-y malady. Among the many other firsts that Leo racks up as our head of government, it sounds like he might also be the first Taoiseach to be so shamelessly steeped in the Oxbridge-born economic philosophy of Great Britain’s Tory party. 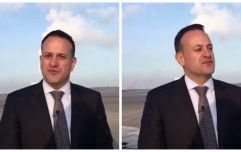 One would naturally be tempted to laugh off our new Taoiseach painting himself as Ebenezer Scrooge's "Before" picture as no more than banter had it not been for Varadkar’s flagship campaign as Minister for Social Protection. That is, of course, the “Welfare Cheats Us All” Campaign. You know, the one that urges you to snitch on your neighbours for “doing a few nixers.” The one that conveniently ended up on the sides of our buses roughly around the same time as Enda Kenny announced he’d be stepping down soon. The one that cost €200,000 worth of tax payer money to run. The one set up to combat the 11 cases of identity fraud in 2016. That one. Not to mention the speech where Varadkar announced his candidacy for Fine Gael leadership, where he said he wanted FG to be “the party of people who get up early in the morning,” a facile and reductive dog-whistle that ignores the reasons why certain people don’t get up in the morning. Or can’t get up the morning. It begs the question that should Ireland ever return to the days when unemployment was at 14.8% under Fine Gael’s stewardship, would Leo Varadkar still represent the people who’ve been terminated from the jobs that they used to wake up for? If he is, then he doesn’t want us to think so. Which brings us to strikes. Mr Varadkar has said that he’ll ban public sector strikes in certain essential areas. No better way to make a worker feel essential than by denying them the main avenue by which they might improve their working conditions, after all. Labour leader Brendan Howlin branded it a "dog-whistle to a right-wing base". It was more like bashing a mallet against a right-wing gong. Lighting the right-wing beacons of right-wing Gondor. Ireland has always been misunderstood, but the rest of the world beaming at us for electing choosing? ending up with our first openly gay leader foisted upon us by Fine Gael’s higher-ups is a whole new level. The common refrain from comments section liberals is “Omg! I wanna move there!” Well… Let’s hope they do some research before booking their flights. After all, would these would-be nouveau Irish be willing to give up their access to abortion? Would they be able to stomach the stubborn refusal to collect the billions of dollars we’re owed in tax money from tech giants? Would they fancy being forced to turn out to protest a government that readily puts control of a National Maternity Hospital in the hands of an ethos that has done unspeakable damage to Ireland’s women and its young in the last 100 years? How would they feel about direct provision? Homelessness that has increased by 91% during the last two years alone? Would they even be able to get a place to live, given that Ireland’s house prices are at their highest level since Fine Gael came to power? These are the issues that Leo Varadkar will face as Ireland's youngest Taoiseach, and they are problems that affect those who get up early in the morning, those who can't up early in the morning, and those who couldn't get to sleep the night before. Leo Varadkar is Ireland’s first openly-gay Taoiseach. In and of itself, this speaks to wonderful social progress within Ireland and is, of course, to be warmly welcomed. But nothing is ever really “in and of itself.” Leo Varadkar is not the first Taoiseach with a seemingly callous attitude towards the rights of women. He is not the first Taoiseach to take a dim view of the rights of workers to seek a better wage. He is not the first Taoiseach to scapegoat the wrong people for economic hardship faced by the middle-class. Leo Varadkar will be faced with many challenges, both economic and social, in his time as Taoiseach. He will also be chiefly responsible for stamping out the stinking bag of Brexit that the British set alight and left on our doorstep. Leo Varadkar is tasked with taking all of Ireland forward into a future where we are as safe, as healthy and as prosperous as we can be. It doesn’t matter when you wake up, Mr Varadkar, it matters where you wake up, and every single person who wakes up in Ireland deserves a Taoiseach who will provide "a warm house" for the entire country. Literally.